Associate Pastor Telfort will be graduating from Gordon Conwell University with his PhD this coming May. We are very grateful that God has blessed him so much and, through him, the people of Haiti. Daniel is very modest, but just so you know, he has worked very hard in his education. He has Bachelor of Theology from STEP, Bachelor of Philosophy from State University in Haiti, Master of Bible Translation from Bob Jones University, and Master of Divinity from Bob Jones University. It has been brought to my attention that Daniel has been using a very old computer. It works but is very slow and out of date. Pastor Telfort’s computer is central in his work as pastor, professor at The Evangelical Theological Seminary of Port-au-Prince and bible translation project. I think it would be a wonderful graduation gift to bless him with a computer that will serve him well. If you would like to help with this, send your gift with a note specifying ‘Daniel’s computer’. 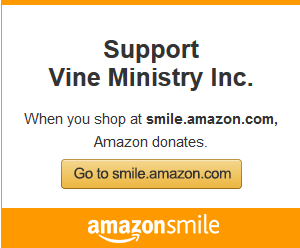 A special thanks and praise to God for donations that have come to Vine Ministry through Amazon’s Smile program. The AmazonSmile Foundation will donate 0.5% of the purchase price from customers’ eligible AmazonSmile purchases to Vine Ministry. When first visiting AmazonSmile, customers are prompted to select a charitable organization. Just choose Vine Ministry, Inc. from Goshen, IN. Since we began participating in this program, we have received over $40. 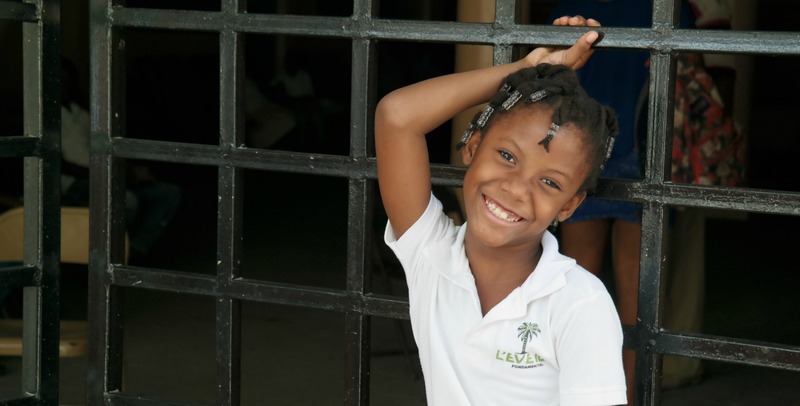 A small amount that goes a long way to bringing hope to the people of Haiti. We are looking forward to visiting many of you in person as we travel to churches May 6 through 20. The deadline for submitting requests is fast approaching, March 15. It is still not too late to be scheduled. We will finalize plans after this date. Thank you for your continued support through prayer and financial gifts. Support Vine Ministry by shopping online at Smile.Amazon.com. Indicate Vine Ministry Inc. as your charity.